The importance of sustainable product sourcing among corporations is quickly becoming a subject past debate. The effects of climate change continue to be felt, consumers are growing more in tune with environmental issues and government regulations prohibiting practices that have negative impacts on the ecosystem have become increasingly stringent. The question, then, is not whether companies should implement sustainable practices - the prevailing assumption is that they should. Rather, the real subject for consideration is exactly how they'll integrate green manufacturing and sourcing strategies into their overall business models. At the core of this issue is the need to ensure that efforts to minimize environmental impact coincide with business cost reduction strategies. Businesses in a range of sectors, including retail and the consumer products market, are searching for answers to this question. Footwear and apparel manufacturer Nike recently announced that it had launched a new factory devoted entirely to a water-free dyeing method called ColorDry. The technique used by the facility, which is operated by the company's Taiwanese business partner Far Eastern New Century Corporation, also removes chemicals from the fabric coloring process. Nike executive management insisted that the development represented an affirmation of the corporation's business values. "We see sustainability and business as complementary and our strategy is to prioritize relationships with factory groups that demonstrate a desire to invest in sustainable practices and technologies," said Nike Chief Operating Officer Eric Sprunk. The relationship between eco-friendliness and good business emphasized by Sprunk is made possible by efficiency. The firm noted that ColorDry reduces the energy expenditures associated with the dyeing process by 60 percent, and the time required to execute the task is decreased by 40 percent when compared to traditional procedures. It also enables Nike to give its customers a higher quality product, as the process results in "the most saturated, intense and consistent color we've seen," Far Eastern New Century Corporation Executive Vice President Kuenlin Ho said. But there's undoubtedly a great deal of hard work and creative thinking that had to go into the initiative in order to make that success possible. In a column for Triple Pundit, eco-business writer Raz Godelnik suggested that the move involved a complete reevaluation of corporate sustainability reporting on Nike's part. 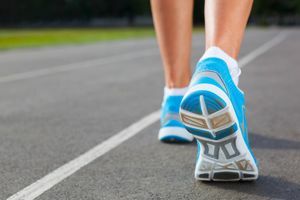 "The bottom line is that companies that want to make sustainability integral to their innovation and performance like Nike will need to rethink the way they address CSR and sustainability just like Nike did," Godelnik wrote. The example of Nike will hopefully encourage more companies to find innovative ways to blend green manufacturing and spend management. "The firm noted that ColorDry reduces the energy expenditures associated with the dyeing process by 60 percent, and the time required to execute the task is decreased by 40 percent when compared to traditional procedures. " Not only does this process make Nike more green, it also has a direct impact on their bottom line. A 60% reduction in energy expenditures could be millions of dollars for the company. The more they implement that the more they save.